CREDIT: “Millions of Acres. Iowa and Nebraska. 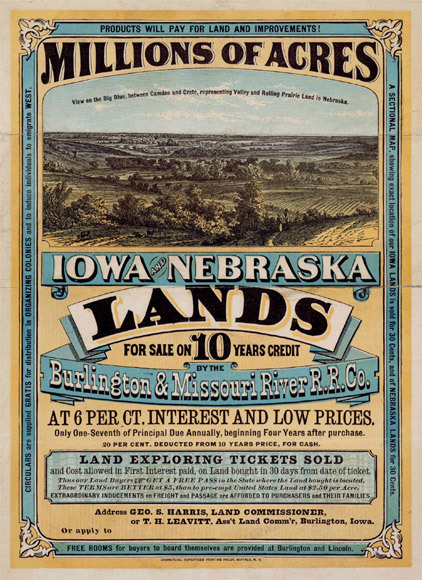 Land for Sale on 10 years Credit by the Burlington & Missouri River R. R. Co. at 6 per ct Interest and Low Prices,” 1872. Rare Book and Special Collections Division, Library of Congress. Call Number Portfolio 134, Folder 13.